George Stokes was born in Vancouver in 1969. 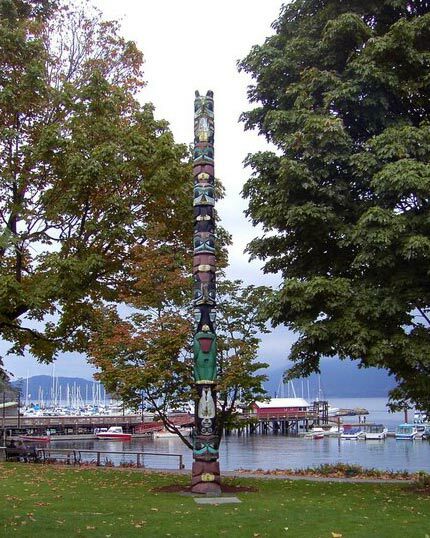 He began carving at the age of fifteen and within a year was assisting Bill Reid and Don Yeomans with an eighteen foot totem pole for Kitsilano Secondary School. The totem now stands in the school auditorium. George enjoys carving in yellow cedar and also uses red cedar, and occasionally alder. 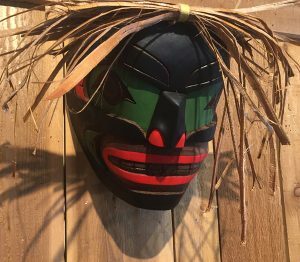 He produces plaques, masks, totem poles, canes and talking sticks. His work is consistent and of the highest quality. Working in another medium George has recently begun engraving in silver and gold.